Great amino product. FULLY dosed. Peach has a bit of a chemical after taste, just mix it with more water than reccomended and it tastes fine. Citric Acid, Natural and Artificial Flavors, Sucralose, Acesulfame-K. 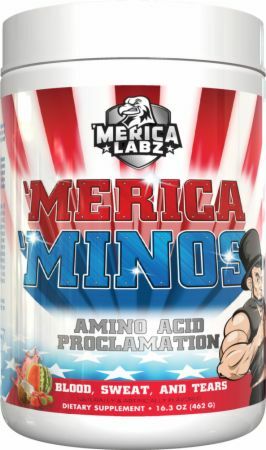 Directions For 'Merica 'Minos: Mix 1 scoop with 16-32 ounces of water and shake well. Consume immediately before and during training. Additional servings can be taken throughout the day.